Your life does not get better by chance, it gets better by change. 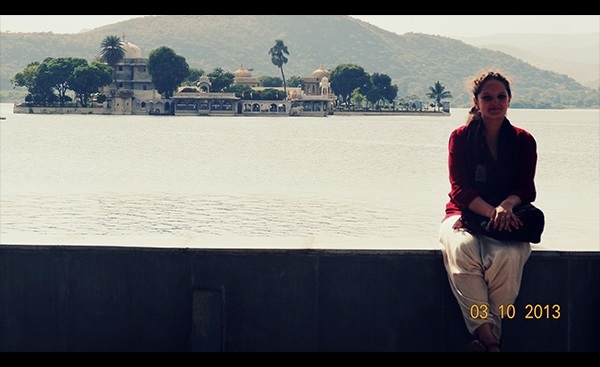 Charvi shares her wonderful experience of internship days. The Galore of Mumbai: As I sat on my seat, I looked around and saw the air hostess fervently explaining how to escape if the plane crashed. But this was not what I was scared of, my stomach was churning to some obscure thoughts. My ears turned deaf to everything and my heart thudded against my chest as the plane soared high and soon I was to land on the grounds of “the city that never sleeps”. My mind was flooded with so many thoughts and my heart was overwhelmed by the multiple emotions: anxiety of being in a strange city, the poignant farewell I had bid to my loved ones, fear of drowning and most importantly fear of being abased at work, in office, at a place where I would go for the first time. Would I be able to complete tasks on time? Would I be able to do anything at all? All of this consumed me to an extent that I missed everything on my way to my uncle’s place where I was to stay for a few days. The moisture of the place had already took hold of me and I felt as if everything gaped at me, the busy streets, the noisy junction, the trees, the buildings, and the sea too. Soon the day turned into night and I was to wake up to an eventful day. This would be the day. My first day as an intern, in an actual office where all employees would silently judge me, would the boss be as bad as I had conventionally heard? Would I have to work late into the night and would I be able to leave a good impression? Could I be socially cordial with everyone? That night I slept with a clouded mind and woke up to a very busy morning. Before that day I had only seen in movies or read in letters how fast lives of people in Mumbai were, but I saw it that day, the overflowing trains and ever moving traffic depicted the haste in which everyone was. I slowed down my pace as my steps grew closer to the office. I began to sweat nervously. All my confidence and self-motivation went on a short vacation and I was consumed by adrenaline.as the day grew, it began to get all normal, and I began to think of how I once revered this day, since the time of making resumes, compiling work and patiently waiting for the companies to reply. Soon it became a routine, going to office, working through the hours, sometimes pondering over the deep philosophies of life, observing human behaviour patterns and again getting back to the computer screen where I had left the cursor flickering. Internship period is those six months where we work equivalent to any employee but what we learn during this time is far more precious and knowledgeable than what we earn. Slowly I had become a part of Mumbai, often visiting the marine drive, the only place in Mumbai where you could sit and watch the waves clash against the stones and succumb to the silence of your inner self. Gradually as the months preceded, I fell into this lifestyle. Office allured me and I felt responsible for the deadlines to be met at work. All illusions and presumptions about the boss and colleagues were made clear and I came to believe that all that I heard were exaggerated opinions. As an architecture student I realized how different practical work was from theoretical knowledge and not only my office but Mumbai too proved to be a city of galore in terms of architecture and other philosophies of life. Mumbai is not only a city that never sleeps but is also a city that never stops dreaming. If Charvi’s experience motivates you, you can check the latest internships in Mumbai and architecture internships.